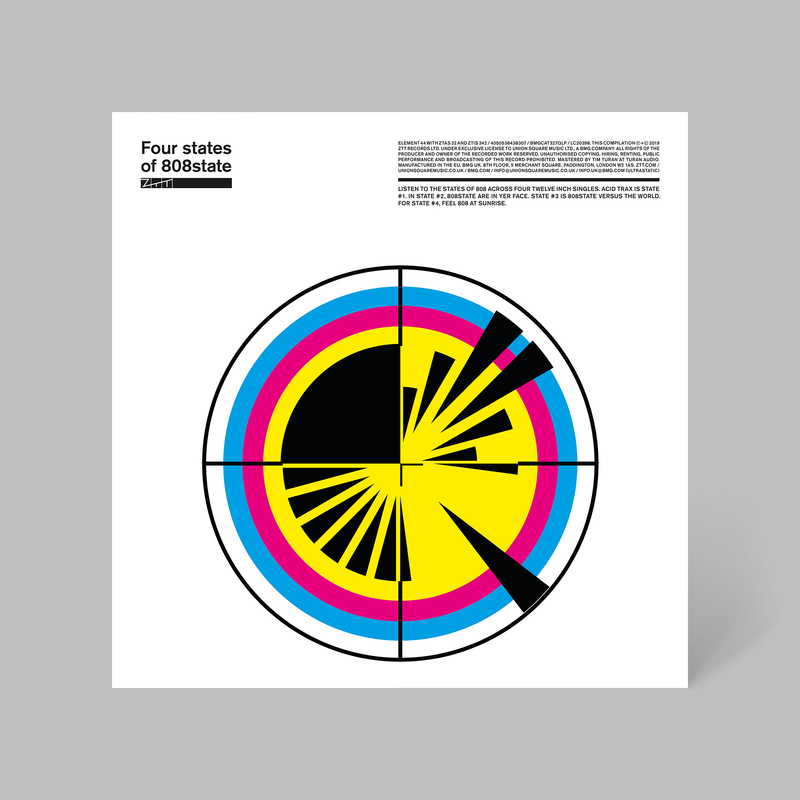 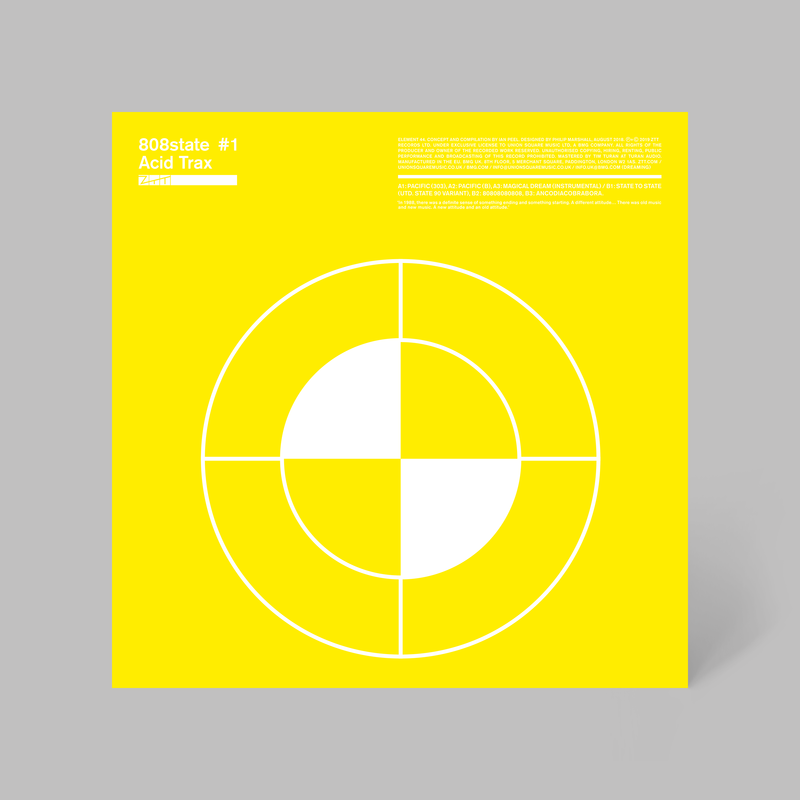 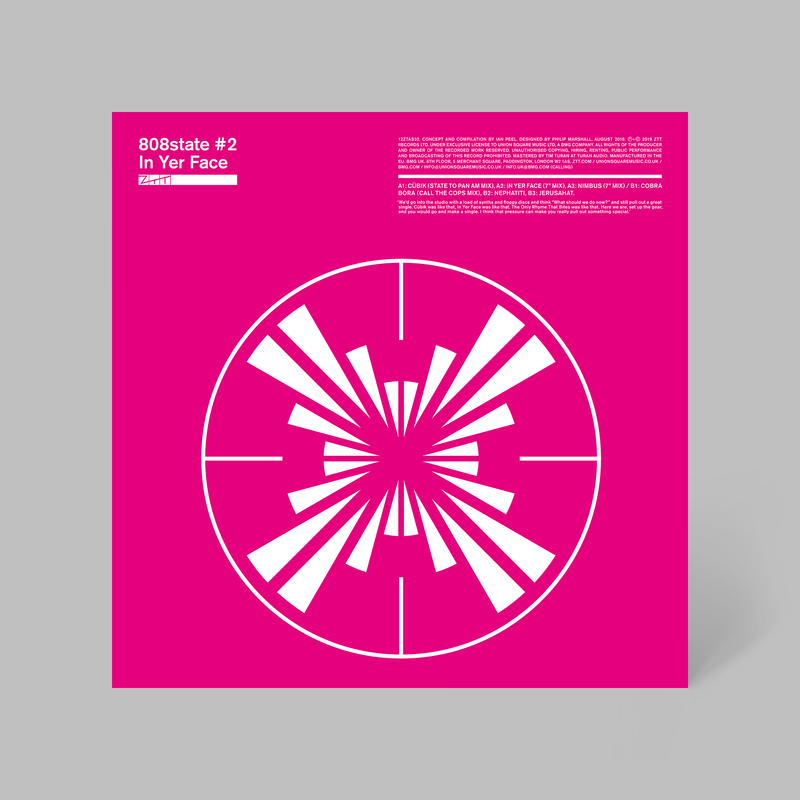 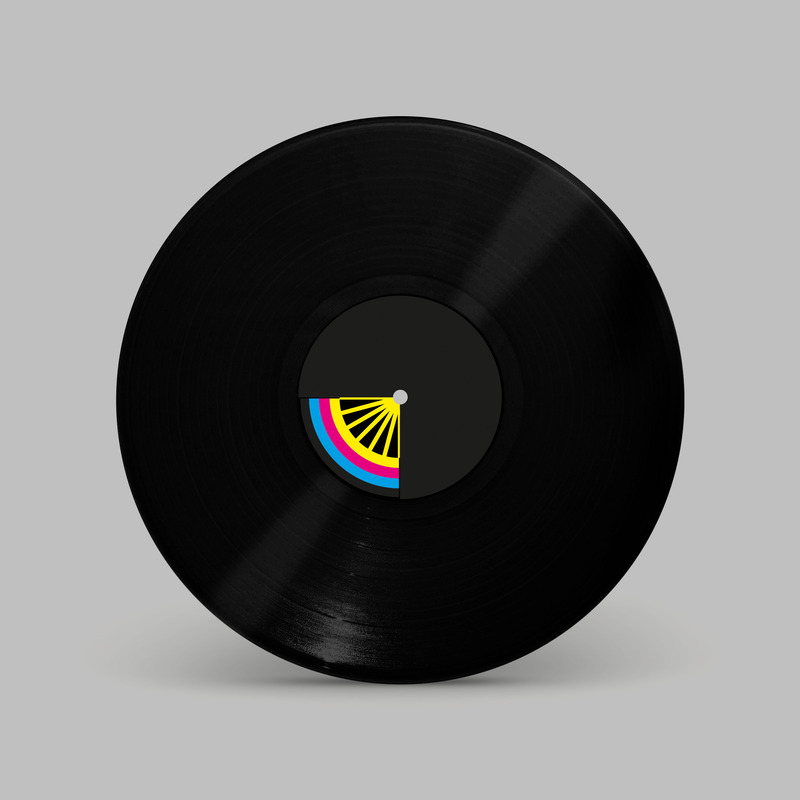 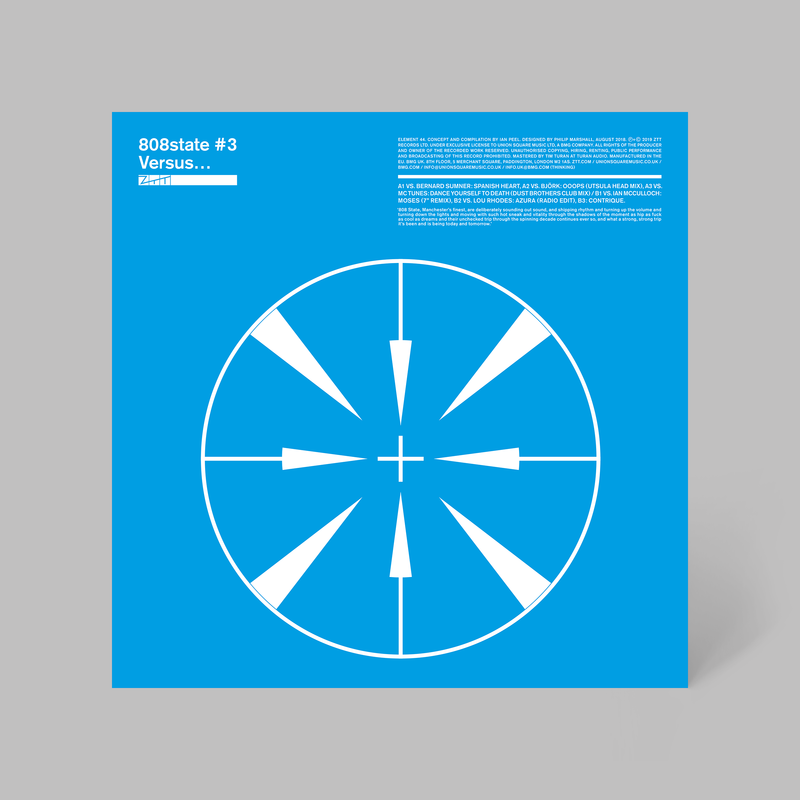 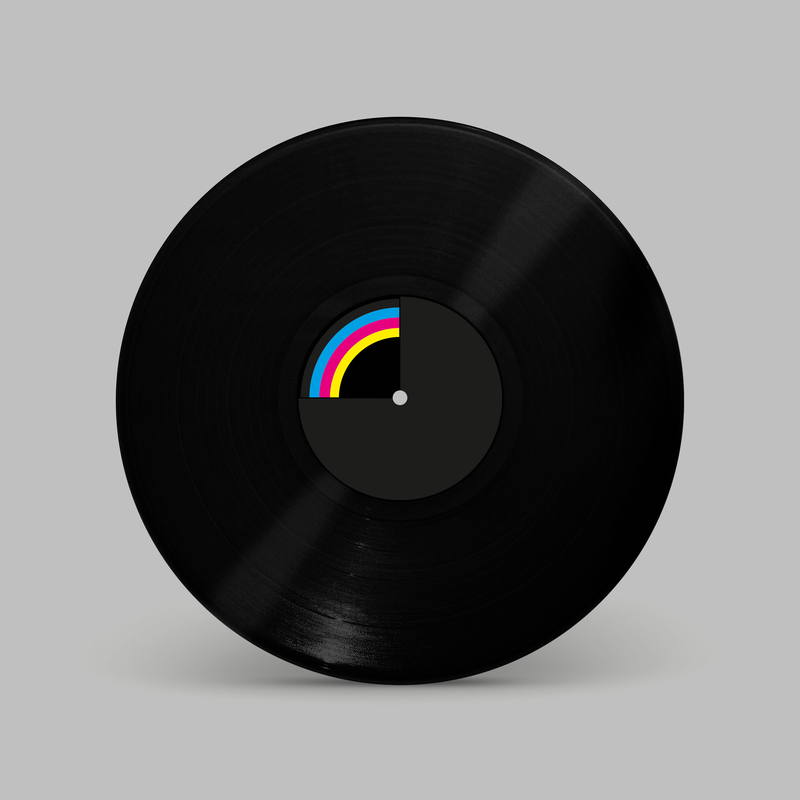 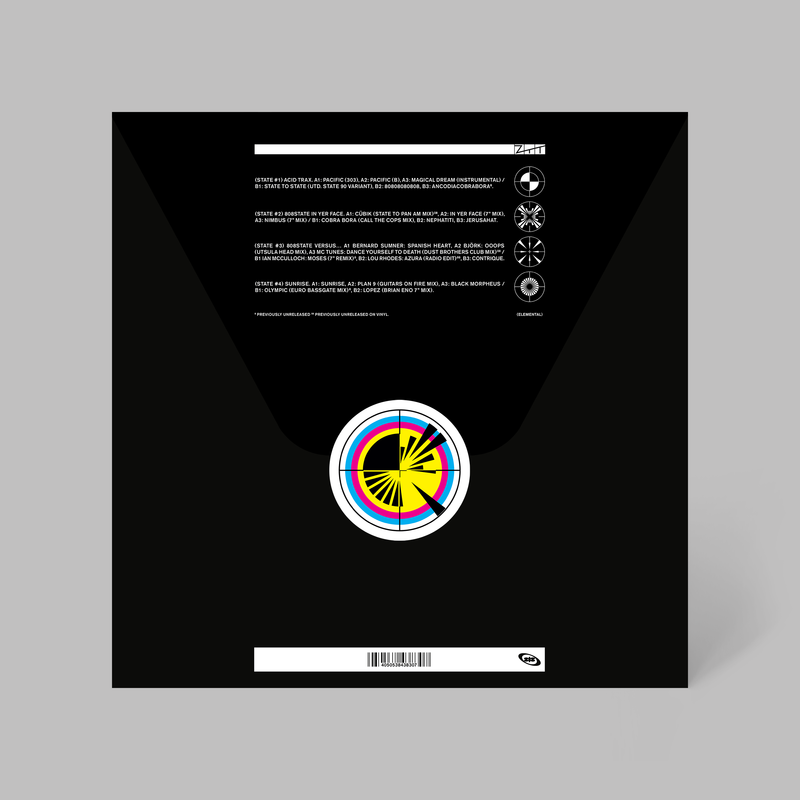 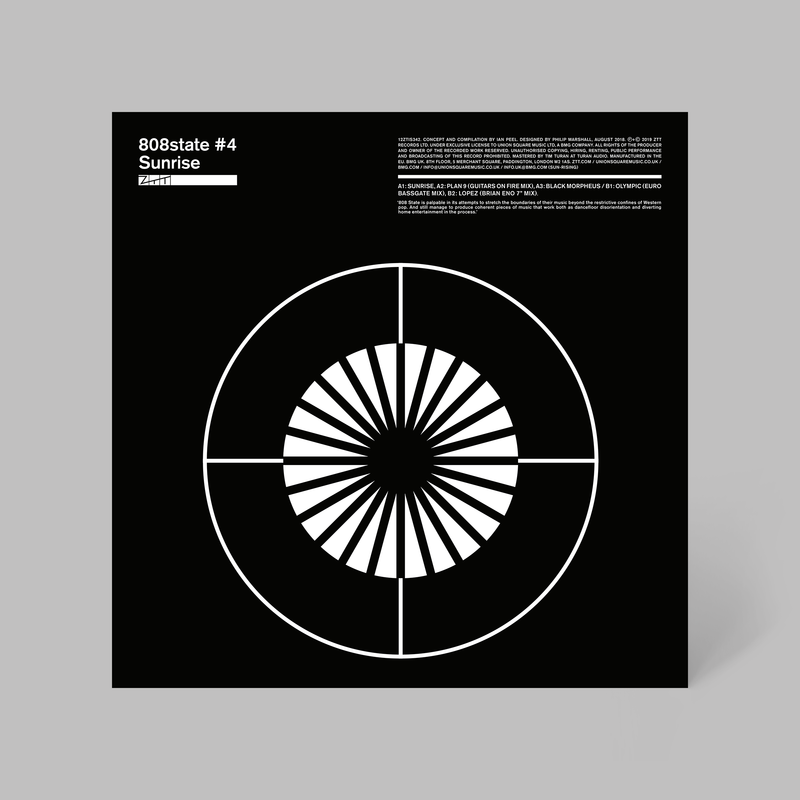 For RSD2019, Ian Peel curated a 4x12” compilation exploring four very different states of 808 State: ‘Acid Trax’ (Haçienda inspired acid house classics); ‘In Yer Face’ (Thunderdome inspired bangers); ‘Versus’ (starring collaborations with Bernard Sumner, Björk, Brian Eno and more); ‘Sunrise’ (shining a light on a more relaxed 808 State). 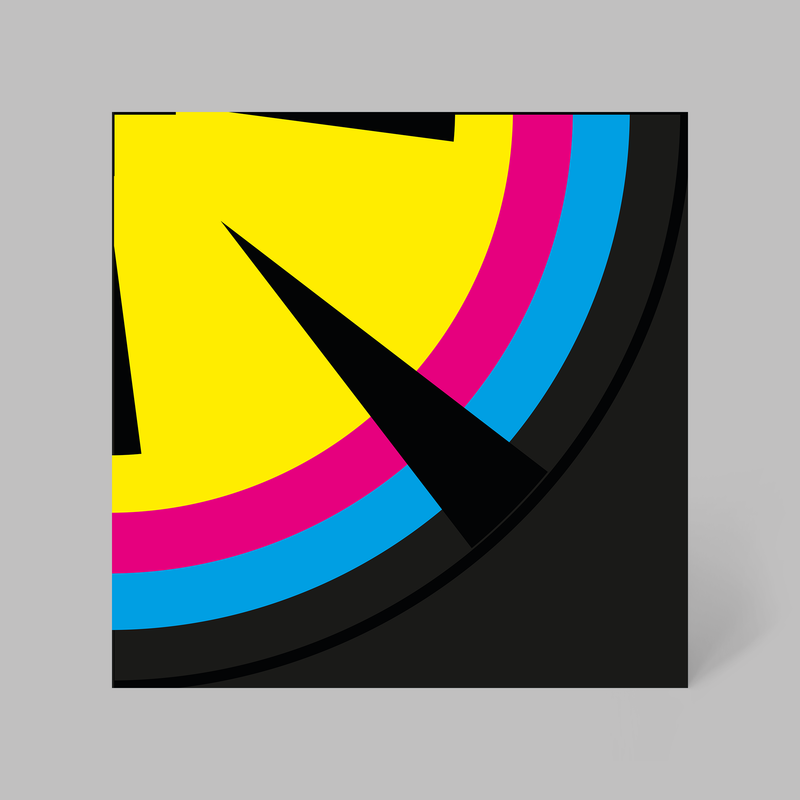 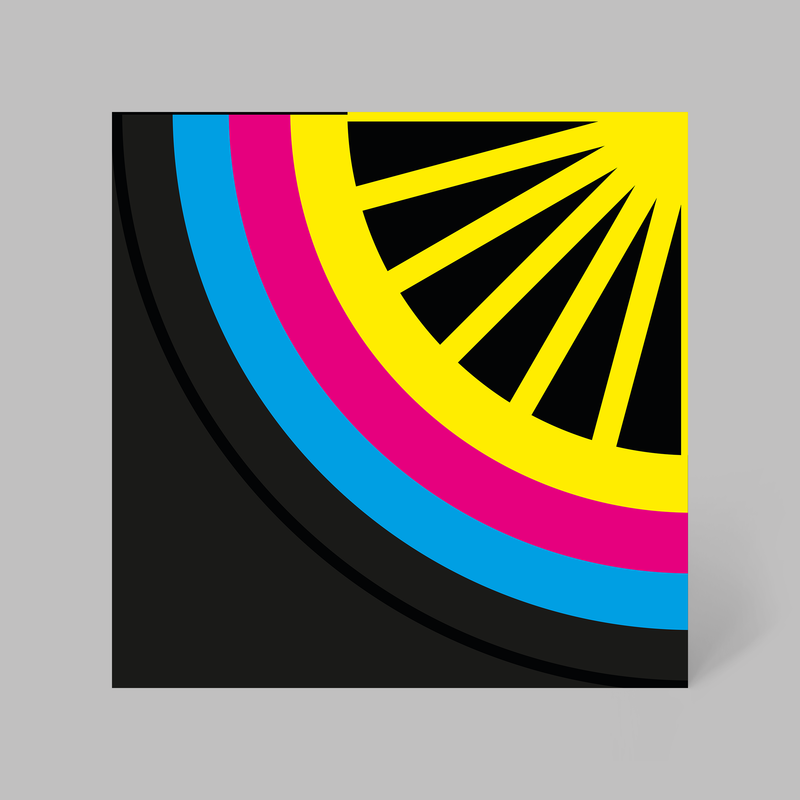 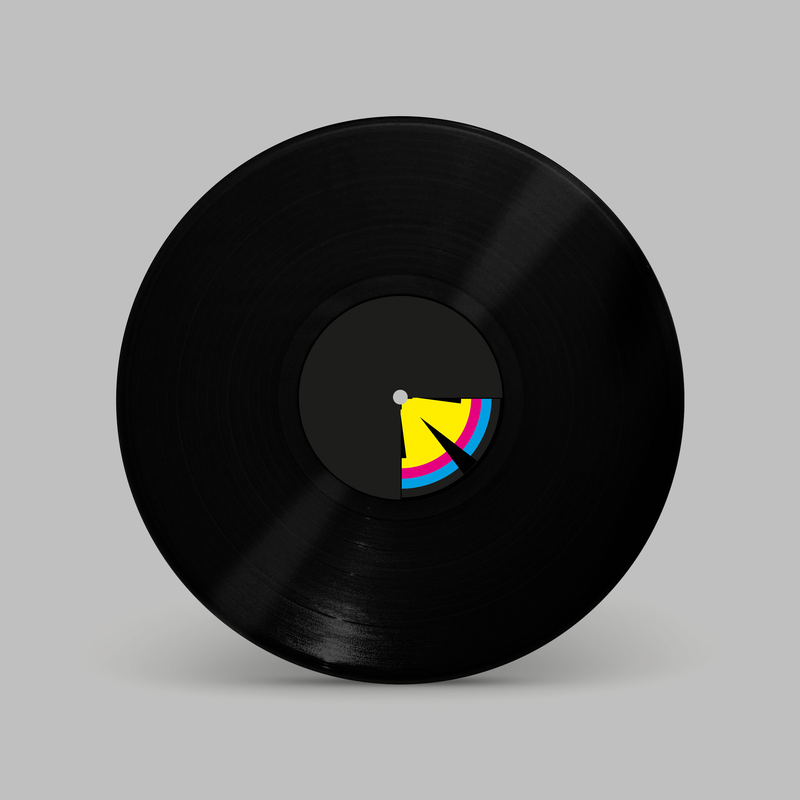 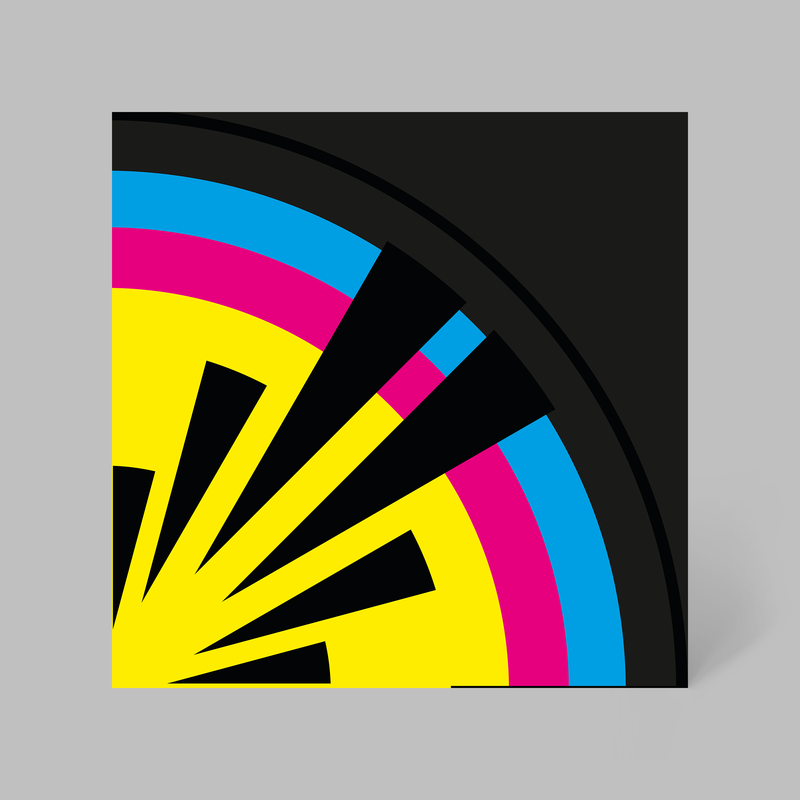 Abstracted registration roundels referencing each disc’s title are presented on the four inner bags of the box: white on cyan, magenta, yellow and black. 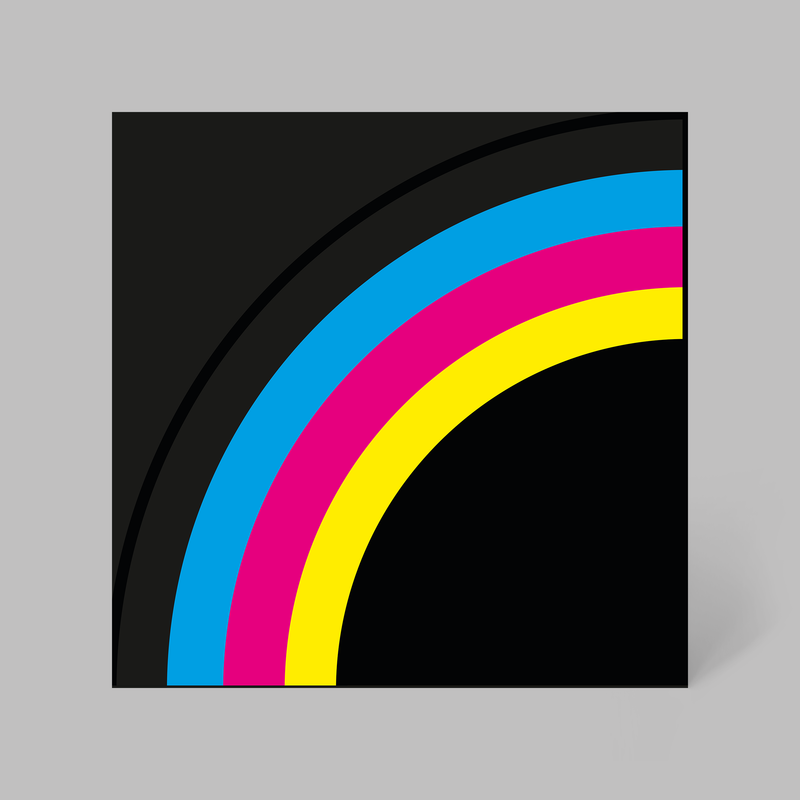 The motif is quartered on the reverse of each.